SAILKOTE™ Plus - What is it? I'm very impressed with the Sailkote PLUS application sprayed on our racing spinnakers. I've been racing Dragons for decades and as soon as the freshly Sailkoted spinnaker was being hoisted for the first time, I realised the value in doing this. The kite is now extremely slippery, and hoists quickly from the spinnaker chute, even when wet! Amazingly, even when hoisted wet, the water quickly runs off the koted sailcloth and the sail is immediately dry and light once again. It's also a huge advantage when it's time to drop the spinnaker back into the chute. We only have to pull about 50% as hard to pull the spinnaker down now, and this greatly reduced friction also seems to eliminate mishaps at the leeward mark takedowns as well. Thank you Sailkote and thank you McLube! Gavia Wilkinson-Cox, runner up 2008 Dragon Gold Cup and winner of the Nations Cup. SAILKOTE Plus is specially formulated with Dupont Krytox, an easily applied environmentally friendly translucent liquid lubricant specifically designed for marine use. It is a derivative of McLube, with an anti-mildew additive that fights mildew before it starts. It dries quickly to a hard, smooth, ultra-slick, hydrophobic dry coating that bonds tenaciously to almost any surface. And because SAILKOTE Plus is a dry lubricant, it will not attract dirt or contaminants and will not transfer to other surfaces. 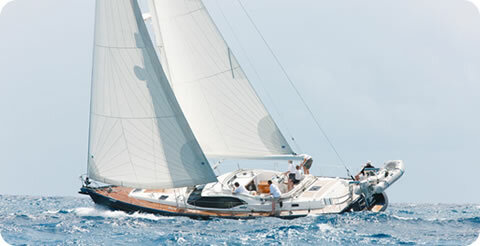 SAILKOTE Plus has been applied to thousands of square feet of sails for boats ranging in size from 25 to 100. The results have been truly dramatic. The sails that we have seen, having been sailkoted, are in better shape than those that have not. The sails, made from as diverse materials as woven Dacron/Polyester and Nylon to Laminated Polyester and Spectra, are cleaner, exhibit less mildew, and suffer less from wear and tear. New Bruner series ofomega replica gentlemen - blue light long kinetic energy automatic mechanical men watch perfect show Swiss beauty table excellent watchmaking skills. At hublot replica the same time, its smooth lines and replica breitling round design will be the concept of the eternal classic brand performance most vividly. 42.5mm in replica rolex diameter PVD plated rose gold stainless steel case distributed sparkling.